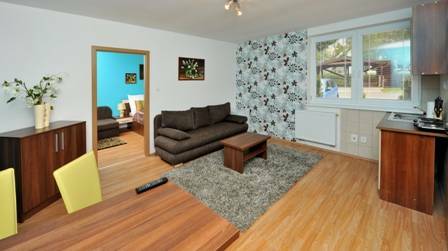 Apartment house with his good location is easy accessible by car, bus and train. Nearby is a ski resort with the highest and longest slope in Slovakia. This ski resort guarantee the best skiing on sunny side of High Tatras. Majestic Lomnicky peak with 2633 meters above sea level is located above Tatranska Lomnica. You can reach this peak by cable car and enjoy the beautiful and incredible views on peaks and valleys in Tatras. You can find a lot of hiking trails-available in winter and also in summer, fantastic scenery, pure nature and beautifull folklore villages near to this place. 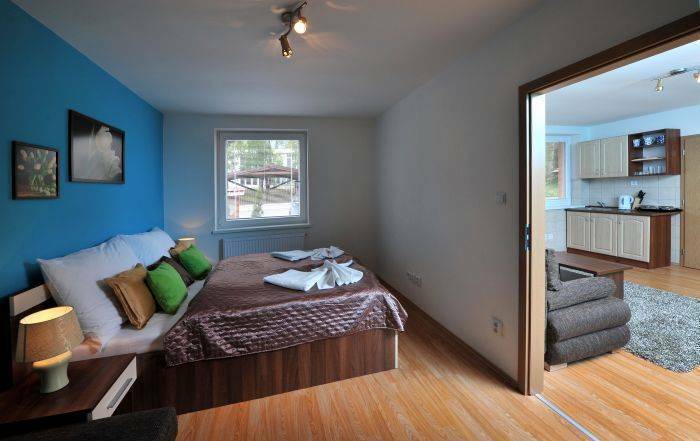 Apartment house offers accommodation in 2 studios and 7 apartments with 45 beds. studios and apartments with kitchen ). Parking is for free. Parking place is before apartment house Julia and is unguarded. Studio Studios have kitchenette ( floorspace from 25 to 30 square meters). Accommodation in studio is suitable for max. 4 people. Studio consist of entrance hall, bathroom with shower and toilet and one room with two beds and a sofa, coffe table, TV/SAT, radio, kitchenette with basic kitchen equipment, cooker and fridge. Apartment Type A Two-room apartment type A ( floorspace from 30 to 37 square meters). 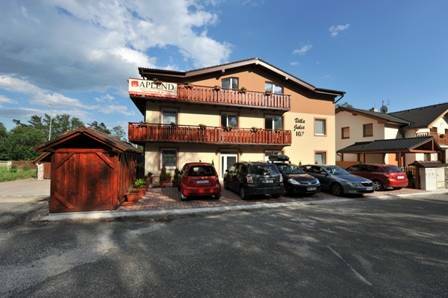 Accommodation in apartment is suitable for 3-5 people. The apartment consist of a small hall with wardrobe, bedroom with double bed and single bed, living room with sofa, coffe table, TV/SAT, radio, fridge. Each apartment has a separate bathroom with shower and toilet. Apartment Type B Three rooms apartment type B ( floorspace from 35 to 40 square meters). 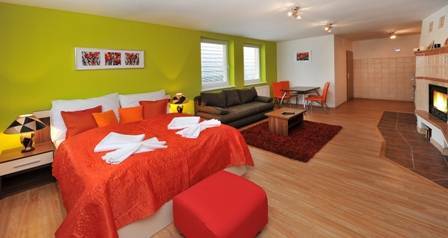 Accommodation in the apartment is suitable for 4-6 people. 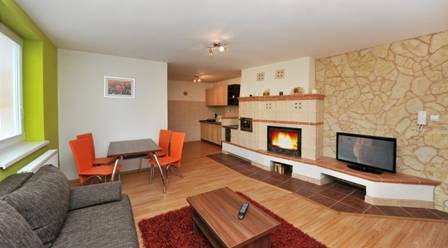 The apartment consist of a small hall with wardrobe, 2 x bedroom with double bed and single bed, living room with sofa, coffe table, TV/SAT, radio, fridge. Each apartment has a separate bathroom with shower and toilet. In front of city of Poprad go down from higway – exit Poprad – west (západ). On bridge exit (STOP) go right. Go down from bridge and turn right. On traffic light by TESCO keep driving direction Vysoké Tatry. Behind traffic light – direction Vysoké Tatry turn right on bridge and than again right. You get on main street direction Vysoké Tatry. Aprox. after 8 km you get to Starý Smokovec behind raill crossing on cross road turn to right direction Tatranská Lomnica. In Tatranská Lomnica on first side cut turn to right, cross raill crossing. Aprox. after 100 meters on left hand side is situated Villa Beatrice. you get the key from your apartment in Villa Beatrice.